It's a pleasant ride home after a long day diving at the Channel Islands. 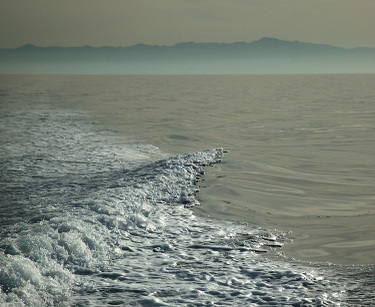 This is the wake of the Magic, the 24-ft Radon of Santa Barbara Channelkeepers. 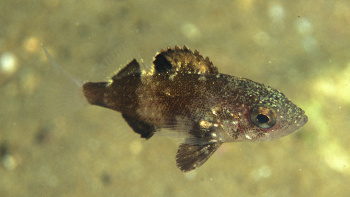 This juvenile rockfish was swimming off the beach just north of Smuggler's Cove at Santa Cruz. He was curious about me, but nervous. 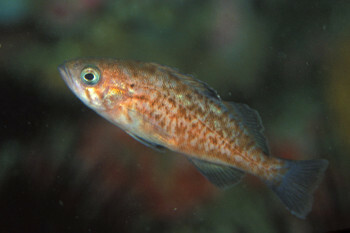 I am not completely sure of his species: he may grow up to be a vermillion rockfish. 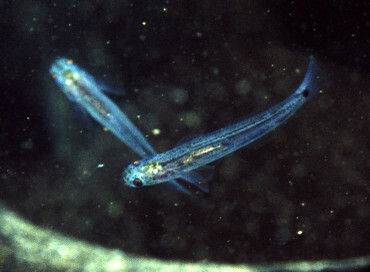 In their earlier stages, and sometimes as adults, vermillions have this peppered appearance. 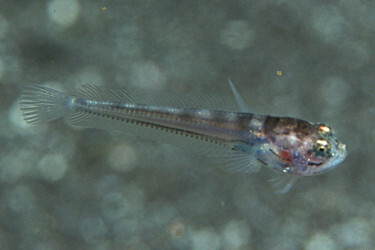 Vermillions seem to be doing well this year, with lots of juveniles on the reefs and above kelp beds. Vermillion rockfish are the original "red snapper", and are said to be the best-tasting of all rockfish. However, rockfish expert Milton Love writes that even though the brightly-colored rockfish are worth more commercially, all species taste nearly the same . These tiny fry were a little thicker than a pencil lead. I suspect that they are senoritas because of the black half-moon at the base of the tail. Plainfin midshipman are ugly fish with beautiful babies. They're said usually to be found floating a few feet above sandy bottom at night, as this very young one was east of Santa Barbara Island. However, I've usually found the adults lurking under rocks off the beach. 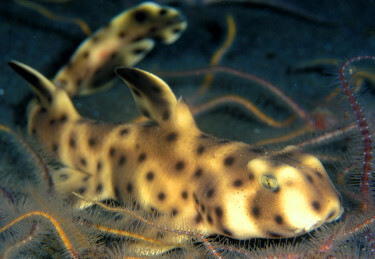 The juvenile horn shark seen from the front, showing its delicate scroll-like mouth. 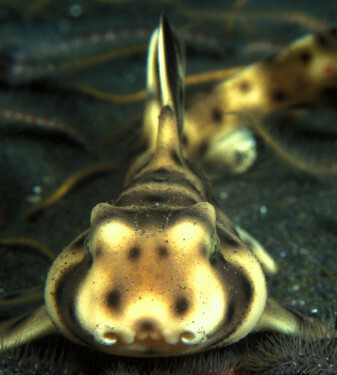 Brian Hall kindly showed me this juvenile Horn Shark at Frenchy's Cove at Anacapa, near the Santa Barbara Channelkeeper eelgrass restoration project. The horns in front of the dorsal fins are small and seemed soft. The shark had a red spot, maybe a scrape, on its tail. It seemed torpid, as the adults often do. 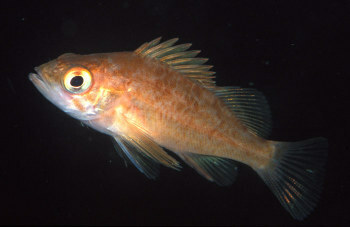 Young Gopher Rockfish near Painted Cave, on the north side of Santa Cruz Island. 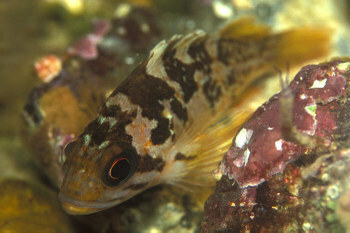 Juvenile Kelp Rockfish at the Goldfish Bowl on the north side of Anacapa Island. This kelp rockfish, spotted back in April, appeared to be extremely pregnant. She was hanging out under a ledge off the beach, not moving fast, trying to stay out of the way of larger animals such as divers. 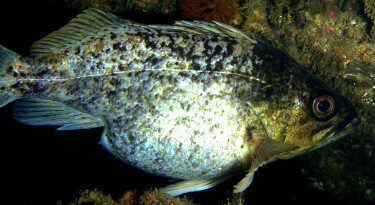 Rockfish fertilize their eggs internally and give birth to live young. That would be quite a sight!